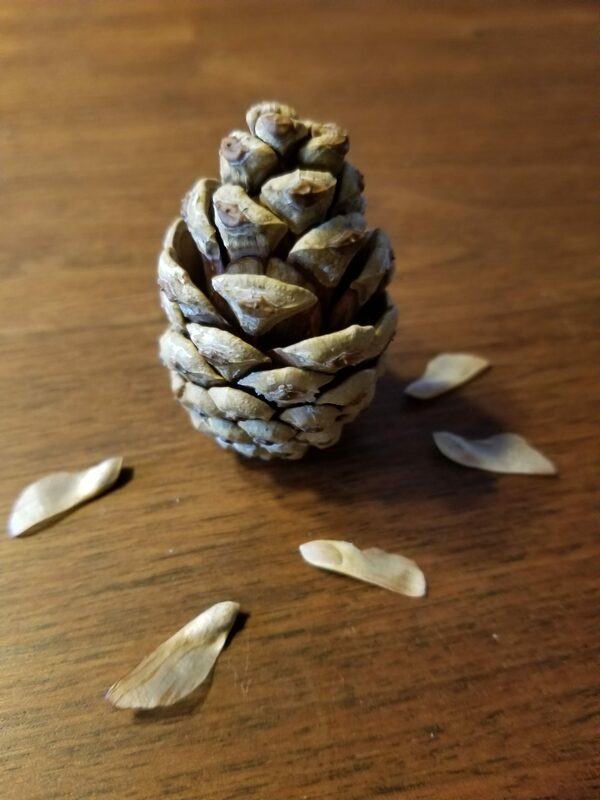 Complex patterns in nature form from simple rules, repeated over time and space. 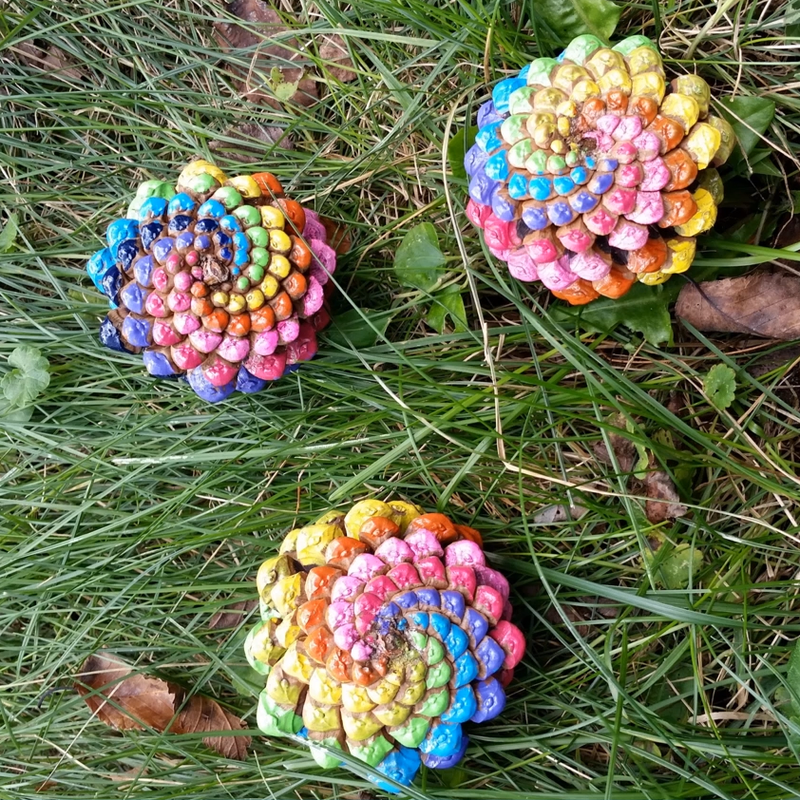 See our movie on how floral spirals form. 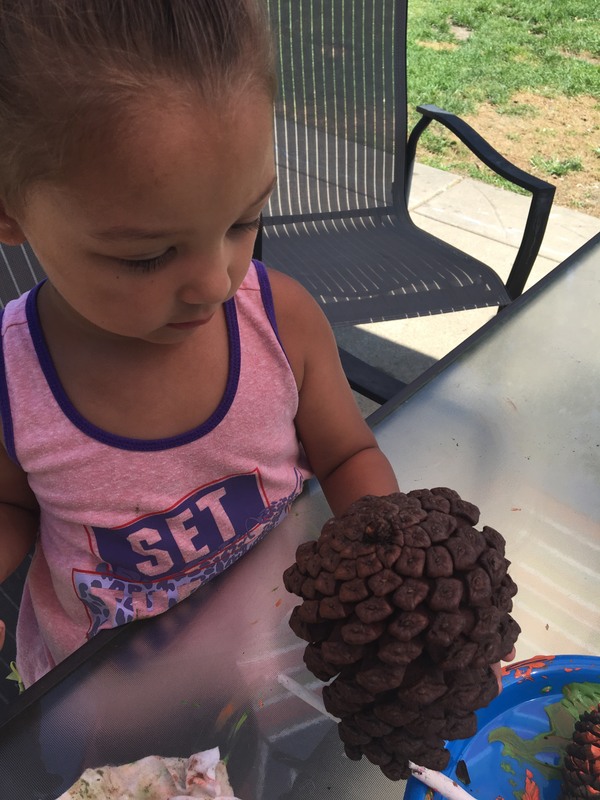 You see these spiral patterns emerging on pinecones, pineapples, sunflowers, daisies and more. 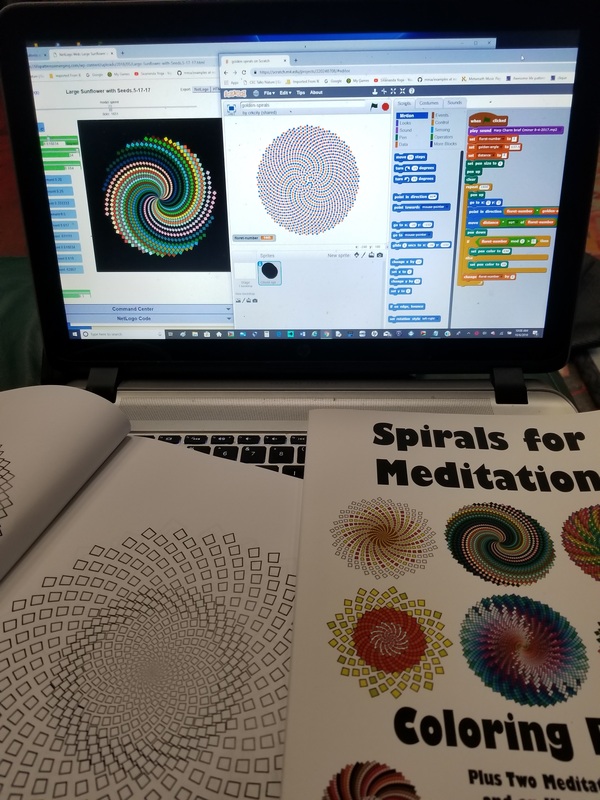 In another movie, we describe a computer model of spiral formation, and apply it to a spirals coloring book. 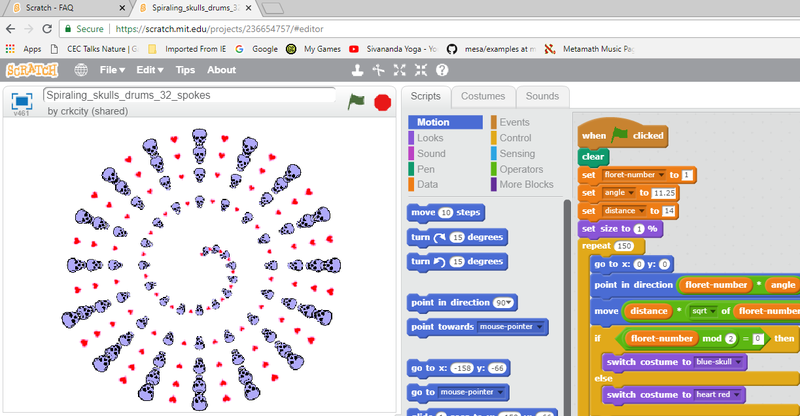 Learn how to code the golden angle spiral model in either Scratch (simple drag and drop commands), NetLogo (very flexible and thorough for studying emergence), or Python (an advanced language used in all industries). We created the model in all three programs. Here’s our spiral model in NetLogo (the most flexible model) and also in Python. 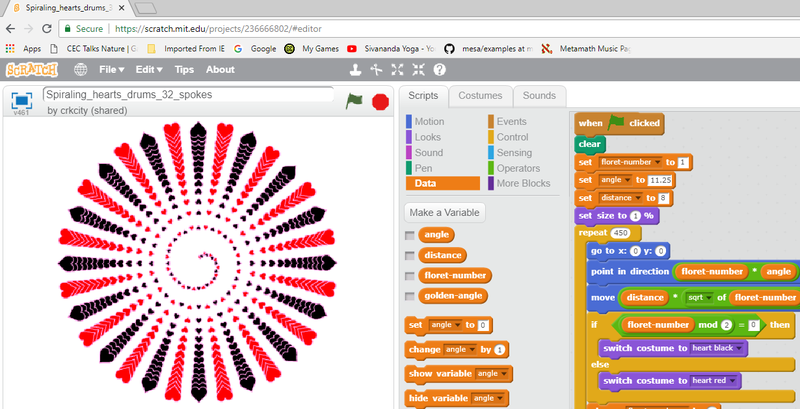 Here’s one of our spiral models in Scratch. Below are screenshots of the code in Scratch. 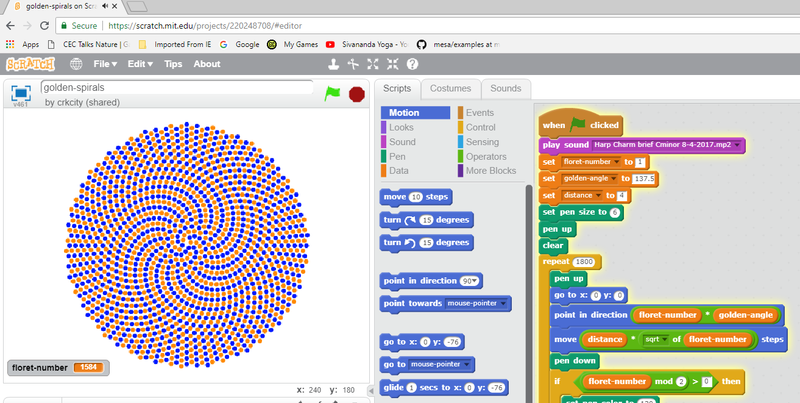 Here’s a movie of the above golden angle spiraling in Scratch. Here are those golden spirals with skulls and hearts. Movie of spirals with 32 arms. In this Scratch model, the turn angle is 1/32 of a full 360 turn, so the spirals turn into 32 arms. 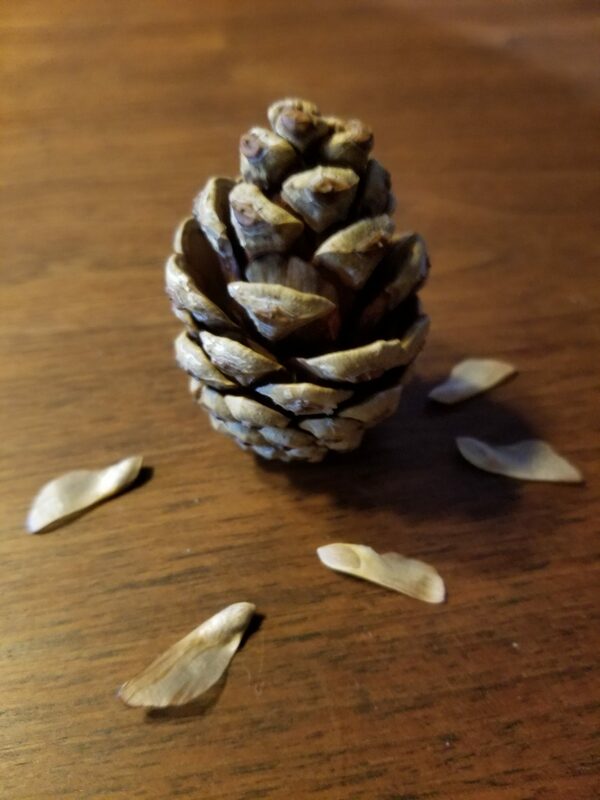 Here’s our movie that applies this model of golden angle spirals to a craft with pinecones based on our computer model of spirals in NetLogo and a similar spiraling model in Python. We see such golden spirals in sunflowers. 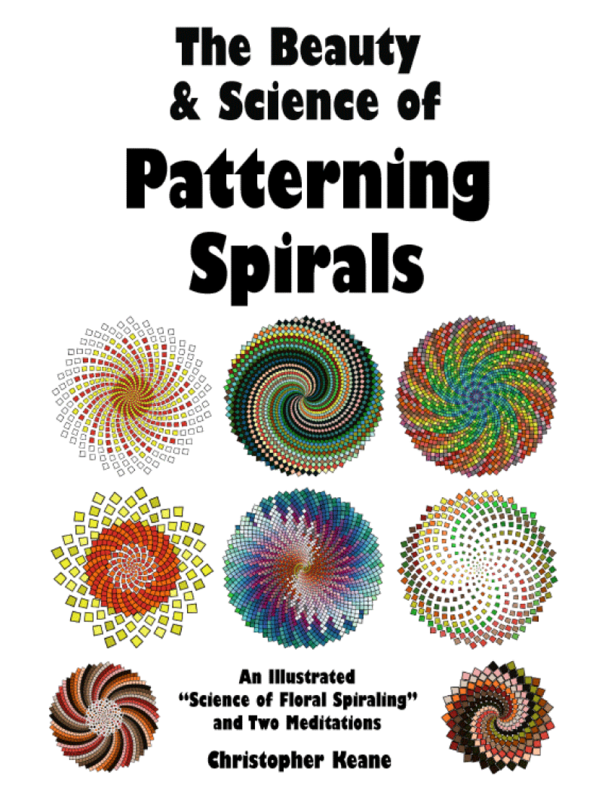 Try our Patterning Spirals: Coloring Book with Two Meditations and Illustrated “Science of Floral Spiraling.” We also have a Kindle version, which is not a coloring book, but includes many color images of spirals, the illustrated science of floral spiraling, and two meditations. 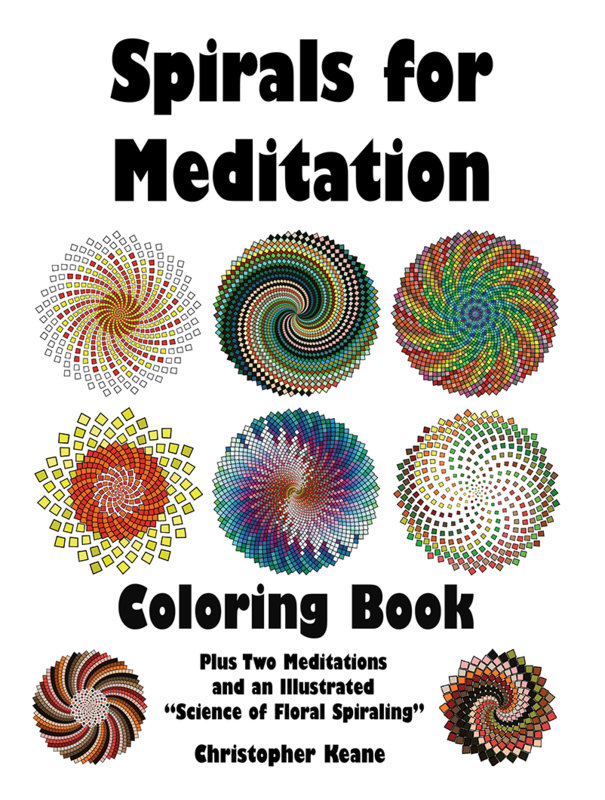 The meditations promote awareness of symmetrical patterns in nature. 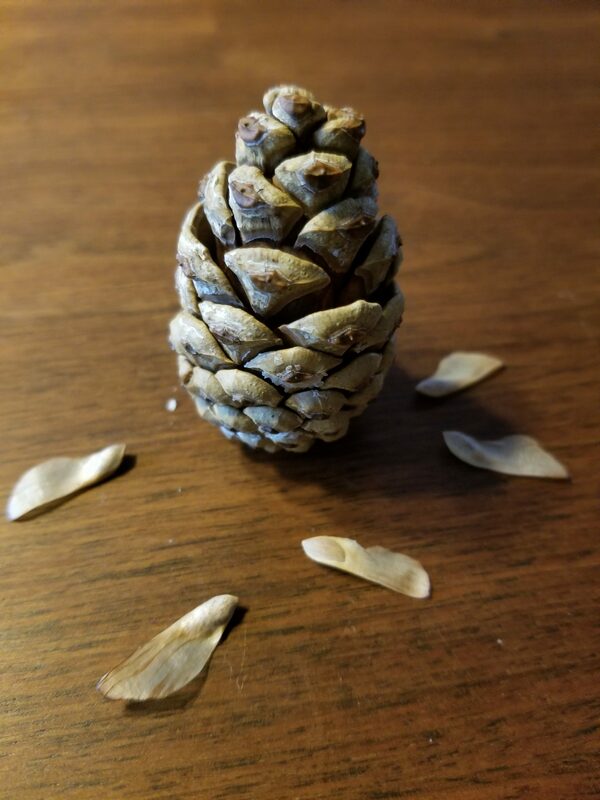 Dry out a pine cone and it opens up. 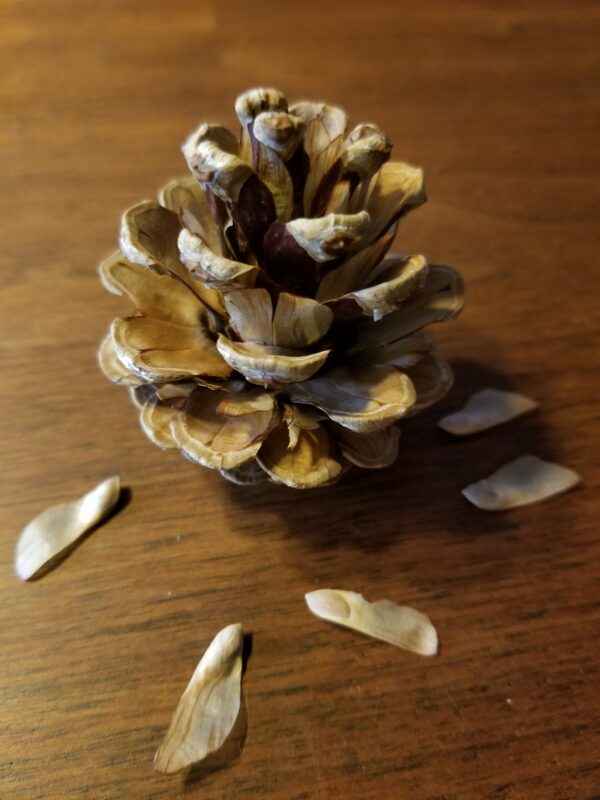 The seeds may drop out, as they did for us. 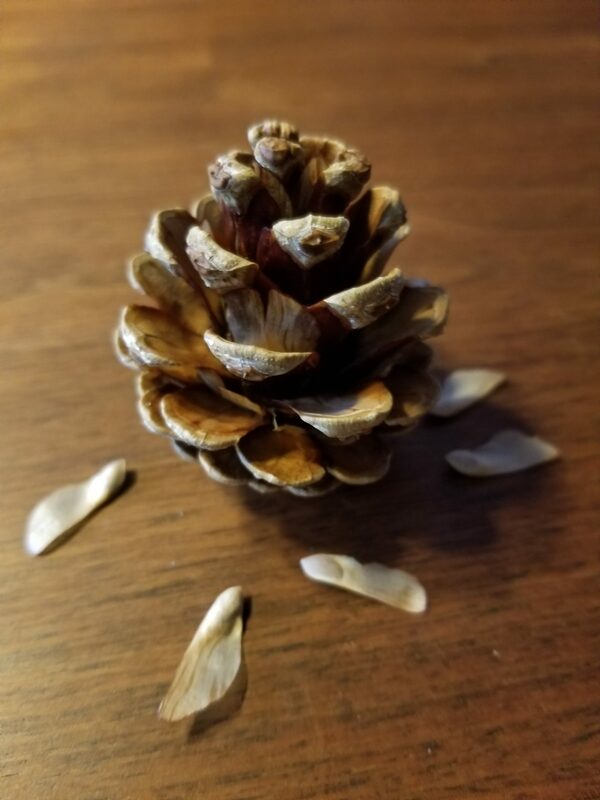 Run water over a cone (like rain) and the cone closes up. 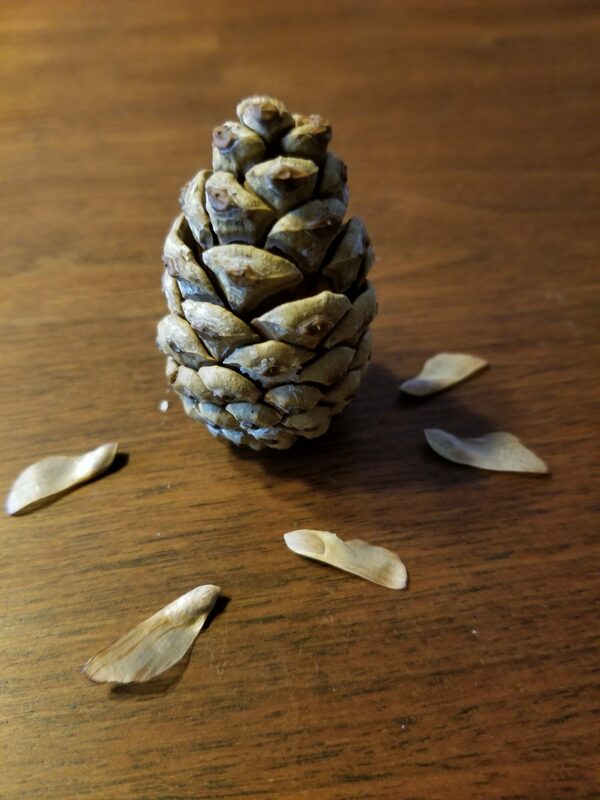 Here are photos we took of our wet cone every few minutes, showing the cone closing. 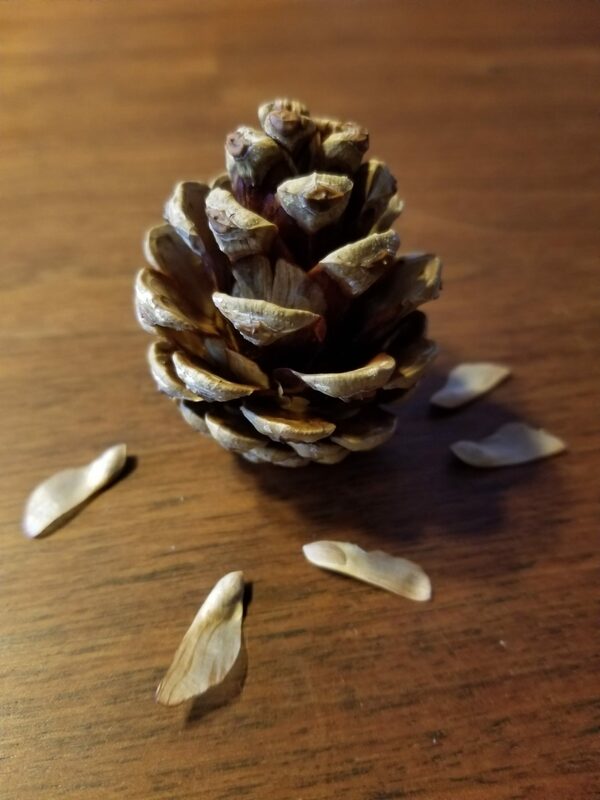 Looks more like a pineapple when closed. 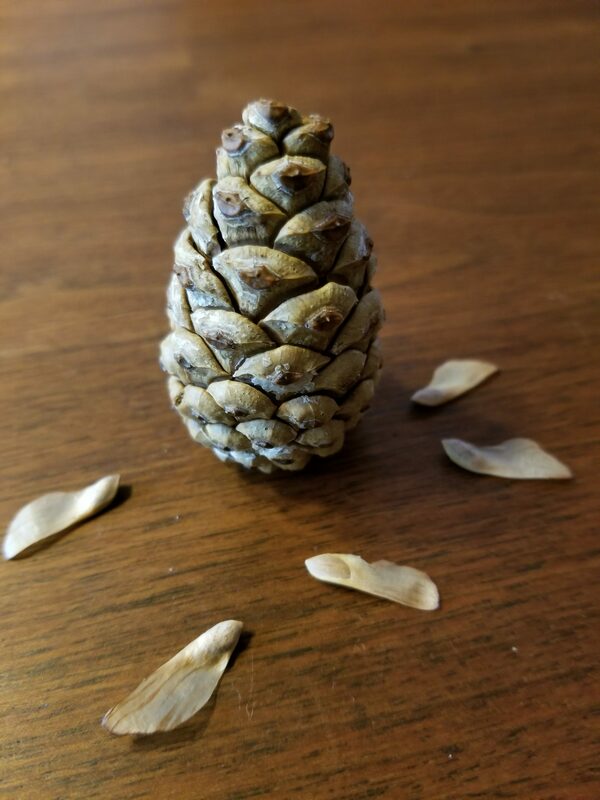 We found that the pine cones always have a number of clockwise spirals and a number of counter-clockwise spirals that were Fibonacci numbers. See if this is also true for pineapples. 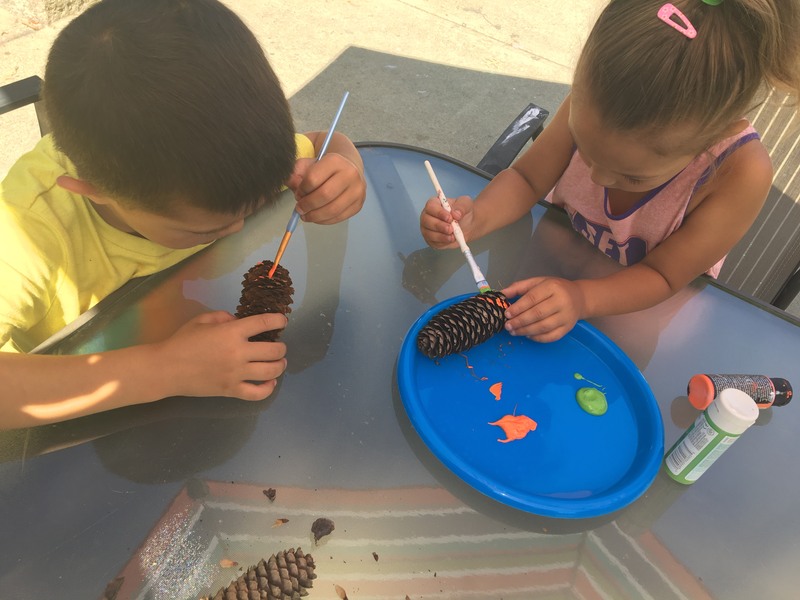 Try painting a pineapple in the same way as you did for the pine cone. 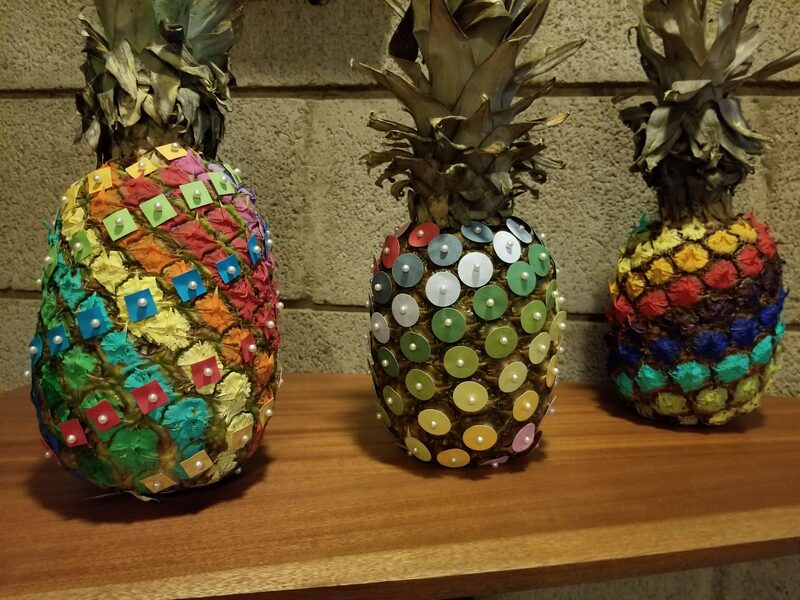 You can also pin colored paper pieces to the pineapples. 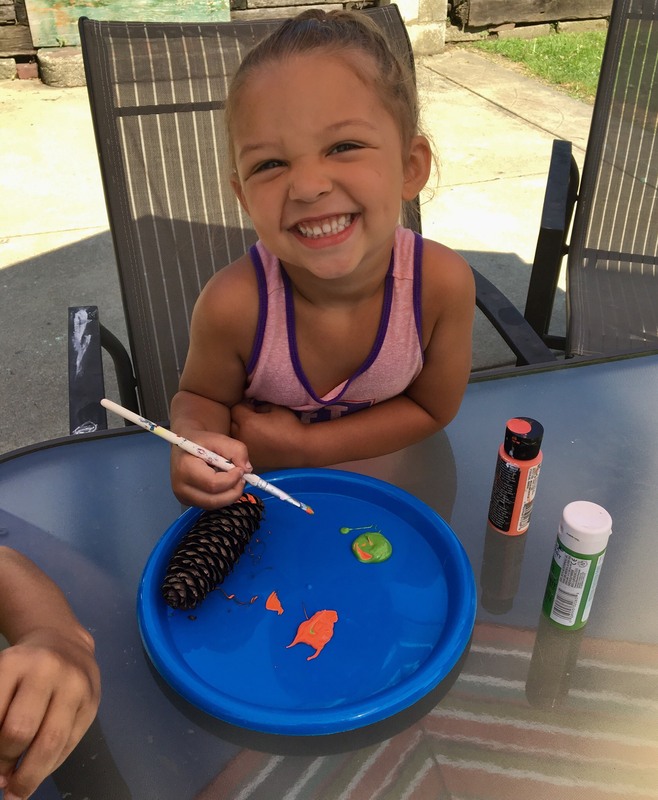 We tried painting spirals going one way and pinning paper on the spirals going the other way. Use your imagination.